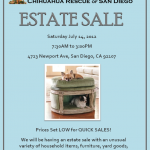 You’re Invited to our Estate Sale and Pet Supply Fundraiser June 14! Save Me! Click to Learn More Please! If you are interested in one of our adoptable little ones, please submit an online Adoption Application. 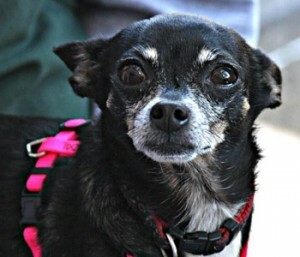 Chihuahua Rescue of San Diego County saves the lives of more than 300 dogs every year. Our program exist because of donors like you! 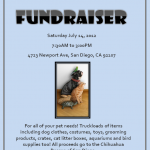 Any amount that you can share is appreciated!